I don’t go to bookstores very often because it is dangerous. I already have a huge and growing list of books to read, and bookstores just increase the chances that I’ll end up with a book not even on my list. I should just admit to myself that I will never complete my list, but I’ve been trying denial for a while now. Books on my list are like that old wive’s tale about gray hairs, where if you pull one out, two more grow in its place. I was recently in a bookstore, and yep, it happened again. I was innocently walking by a shelf when this book caught my eye. As an ardent fan of Harper Lee’s To Kill a Mockingbird, I could not ignore this cover. I picked up the book and read the back cover, then the first few pages. I quickly realized this book is for juveniles and a far stretch from the A Song of Ice and Fire series I have been reading. It appeared it would be a quick, yet humorous and pleasant read, and also something good to read as a gauge for a comparison to my own juvenile fiction series (please, if you do not understand the naming of book age categories, do not think I am insulting this or my own books). And yes, it is a tribute to the book I love so much. And I took it to read on days at the beach (between walks, and searching for starfish with a five year old). Oh, and I loved it! First of all, the trio of young friends was not only a group I personally connected to because they were intelligent yet fun book nerds, but one of them had a Star Wars backpack as well. Seriously, I loved that these kids were not portrayed as a bunch of trouble-making hoodlums out wreaking havoc all summer long, but a group of awkward kids with their own issues, making the most of their summer by “fighting for the books” in a way that would have made their late English teacher proud. Though technology played an important role in the progress of the kids’ summer project, kids being kids reigned and there was an Americana feel of how simple summer should be and an innocence similar to that of Scout, Jem, and Dill in To Kill a Mockingbird. Sure, they witnessed Atticus having to put down a rabid dog and defend a poor black man wrongfully on trial for the color of his skin, and Lucy, Elena, and Michael deal with the death of a beloved teacher while Lucy comes to grips with the near loss of her own mother to cancer, but they are still all just kids trying to have fun in a small town setting. Suddenly I feel like I can’t catch my breath. “What?” I say again. I Kill the Mockingbird was an easy and funny read, yet had deep messages. In that way,and the presence of a protagonist who is mature and intelligent, I compare this story to my own book series. I loved this book, and it was a great respite in the middle of the violence and death I’ve been reading. 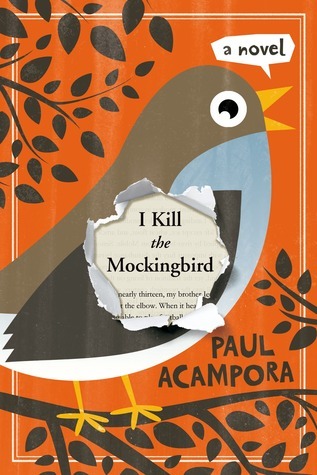 Posted in Author, book review and tagged great book, humorous read, I Kill the Mockingbird, juvenile fiction, Paul Acampora, To Kill a Mockingbird. Bookmark the permalink. Elle Klass is on tour, and she’s stopping here today! Elle was born into this world in Redwood City, California and spent her childhood growing up in the fabulous San Francisco Bay Area. She is an avid San Francisco Forty Niners fan. 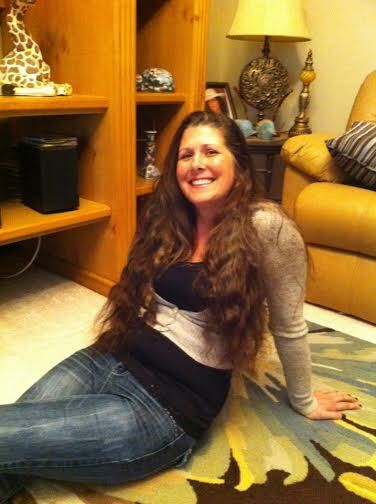 She has raised two beautiful daughters, and currently resides in Florida. 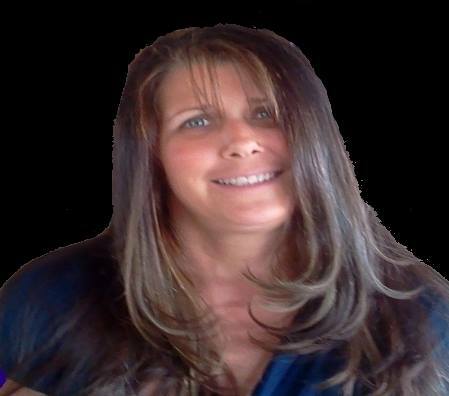 For fun she reads, spends time at the beach, travels, and enjoys time with her favorite friends, and family. She is a night-owl known to be a hermit during rainy days, as she has a love for sun, and is mostly found poolside over the hot, humid summer months. It is the 20th century in California and the main character, a woman, has lived her life to the fullest. Nestled in her favorite spot during a snow storm she recalls the events of her life from her earliest memories of resisting birth and losing that futile battle to finding her true love and their beautiful family. There are monkey wrenches thrown in at every turn as she struggles to find her place; demonic teachers, cliquish students, her nightmare job, a love lost, and an earthquake that threatens her family. Life continues to dismay her until she can’t take it anymore and sets off on a journey. She is a lost soul with no destination, a wandering heart until something happens, something so incredible she could have never imagined it! Through her harrowing and dark story she finds light, justice and true love. She is a humble and lovable character who is quite ordinarily extraordinary. Her story is anyone’s story. Jacob had grown into a very handsome young man. The girls adored him. He was quite a lady’s man from an early age. Having an older sister, he was used to the attention he received from her and her friends. They always thought he was adorable, and they mooned all over him. When he was twelve, one of Natalie’s friends, a cute blond girl with bright blue eyes, fair skin, and rosy cheeks, had the biggest crush on him. He had a crush on her as well. He wasn’t shy around girls at all, and when they flirted with him he flirted back. Anyway, Nikki found him and the girl kissing in the backyard one Saturday afternoon. As Reese tells it, Nikki went white as a sheet, her eyes rolled up into her head, and she almost fainted. He had to catch her to keep her from hitting the ground. He thought it was hilarious, but Nikki kept a very close eye on Jacob after that. I don’t think she let him out of her sight for more than thirty seconds at a time. He was a very good-looking boy and charming, and the girls couldn’t keep their hands off him. They chased him everywhere. I knew one day, when he found the right girl, she wouldn’t be chasing him. He would be chasing her. As one woman looks back over the events and people of her life, the reader is made aware of the importance of love, relationships, and family. It’s interesting to see how the characters and events connect, and it is this connectivity that shows a greater plan. The story is enjoyable, relatable, and romantic- a good sort of sentimental. 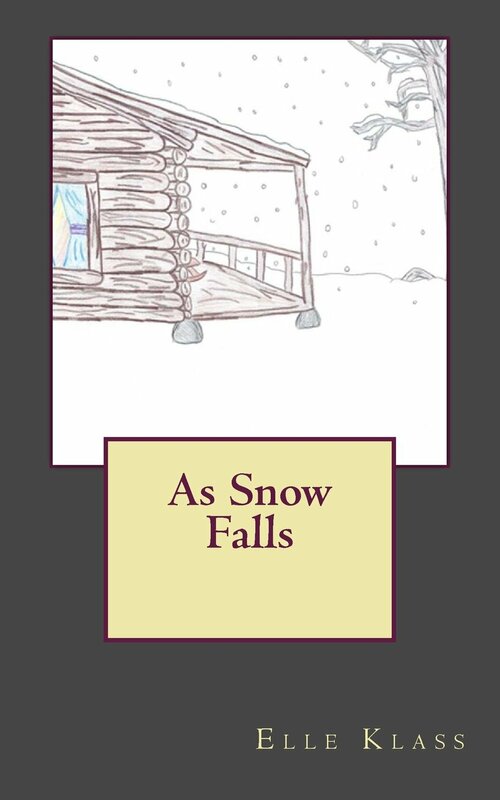 Posted in Author, book review, Uncategorized and tagged As Snow Falls, blog tour, book giveaway, debut novel, Elle Klass, indie author. Bookmark the permalink. Thank you to Kaycee at Wonder Struck for hosting today’s blog stop and for the wonderful book review. Posted in Author, book review, Uncategorized and tagged book release, book review, Memoirs of an Ordinary Girl, Wonder Struck, young adult fiction. Bookmark the permalink. Here’s a link to the first of my book blog tour stops. Much thanks to Elle Klass for having me. Posted in Author, book review, Uncategorized and tagged blog tour, book release, Elle Klass, high school fiction, new book, young adult fiction. Bookmark the permalink. When an author and words love each other, they create a book. But a free book comes from a special place. It’s trite, but it’s true. Nothing in life is free. Book giveaways are a way for authors to promote their books and there is an etiquette for it. There is a tacit agreement when you accept a freebie book in a giveaway that you will help out that author. You see, in all honesty, we are hoping that the free book recipients will be appreciative of our giving up our precious work for absolutely nothing by reciprocating in the form of a review or word of mouth advertising. If you receive a free book from us, we get nothing for it unless you help us get the word out about our works. We hope you love it so much you want to tell everyone you know about it, and then they will tell their friends and family about it, who will then tell everyone they know about it… You see the pattern, so that’s enough of that. 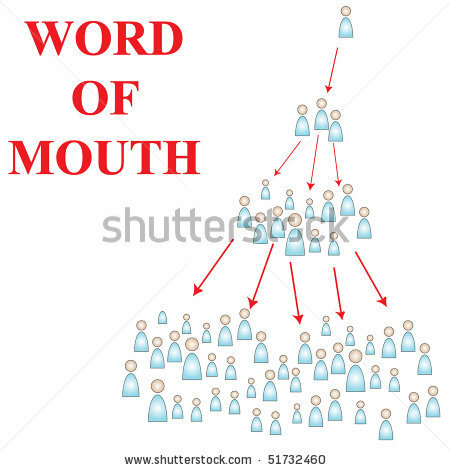 The point is, word of mouth and reviews can grow and spread exponentially, especially with social media, unless you keep quiet about it, in which case, the possible momentum of a great (or even mildly enjoyable) book dies with you. Consider this: A few months back, my husband and I and a friend of ours were out shopping and beginning to consider a place to grab some dinner. We just happened to walk past a restaurant that was doing a practice, pre-opening night and they invited us in for a free meal. The food was amazing and experience and atmosphere was impressive, so we told everyone by posting on Instagram, Twitter, and Facebook. By the restaurant (MShack at St. John’s Town Center in Jacksonville, FL) hosting this free dinner night they got free advertising and were able to practice making and serving the food, as well as get feedback from us and the other lucky free dinner recipients that evening. Written reviews of free books do the same thing as they not only spread the word and inform those searching for a good book that this is one to take a chance on, but the author also gets to read some feedback. Tell your friends, neighbors, coworkers, the girl ringing up your groceries. 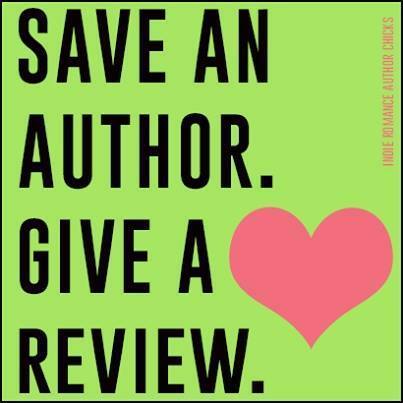 Write a review on Amazon, Goodreads, your blog, or basically any social media outlet you choose. Do you know many authors? The majority of us are not rich off our royalties. In fact, the number of authors able to live off the income from their books alone is minute, as one grain of sand on the beach or a single screaming girl at a One Direction concert. We can write our hearts out and produce a masterpiece, but unless someone voices to another how extraordinary the book is, nobody else will ever know and it will die in obscurity. So help a brother or sister out! Read it. Review it. Let the author know how you feel. If you’re interested in helping this starving artist click here. Posted in Author, book review, Uncategorized and tagged book promotion, book reviews, free books, How to help an indie author, indie author, love an author. Bookmark the permalink. I’m stretching out of my usual content (whatever the heck that really is) in order to post a book review. I’m not planning to make a complete habit out of this, but I figured I could throw one in once in a while. After all, I’m an author and I ought to help out my fellow authors, right? 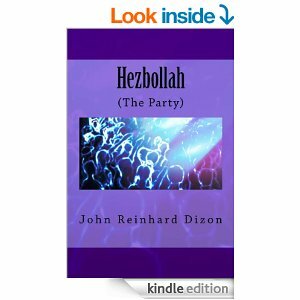 John Reinhard Dizon’s Hezbollah (The Party) manages to mix nostalgia, music, the mafia, boxing, and Middle Eastern tensions into one story about relationships and what causes people to move on. The plot moves forward through the prism of different points of view from members of the band Hezbollah, each sharing their own fractures while working to pull the entire story together through flashbacks and the progression of the present time as they are all faced with the possibility of a reunion show in Megiddo. The problem is they are all torn as to whether or not they can pull it together again for one more show, especially one that forces them to relive the trauma and loss they experienced the last time, and having to accept that they aren’t all kids anymore. I love stories with good characters and strong friendships, and this has both. Though years have passed and not all members of Hezbollah have kept in touch, they all share a connection deeper than they even understand, yet it’s not all rainbows. There’s an underlying darkness that has inserted itself in their relationships, though they hold one another up in times of need. The reader is able to learn what has happened to each character and what may have driven them to where they end up. Another quality to appreciate in this book is the author’s knowledge of the music scene, giving it an authentic feel while reading. I recommend this book to music lovers or anyone who appreciates a good, reflective look back on life. Posted in Author, book review and tagged book review, Hezbollah, John Reinhard Dizon, music lovers, recommended book. Bookmark the permalink.